Find My Workspace lists over 95% of the executive office suites market in Sparks. Simply click Request Quote to check pricing for one office, or Add to Basket for multiple offices. 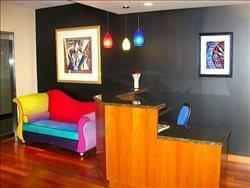 With it’s award-winning interior design adds a professional image to your company. The contemporary reception area with an upscale conference room and convenient cafe-style kitchen supports successful client presentations.The center is fully furnished offices with large desk, credenza, ergonomic mid-rise executive chair, lateral file cabinet, bookcase and two side chairs are included with utilities and Comcast Business Class internet with shared use of open reception/conference area and contemporary cafe-style work area. The Upgraded decor, wood flooring and marble throughout the entire suite, provides for a productive work environment.